A Pair of Yuccas sit atop the White Sand Dunes. 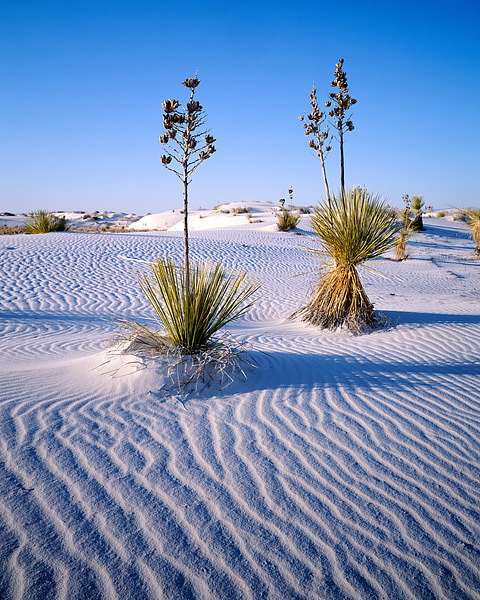 The gypsum dunes of White Sands are a great place to photograph. Although this is a National Monument, much of the Dunes is part of a Missle testing range. Photo © copyright by Thomas Mangan.